The Whisky Exchange Vinopolis is hosting a very special tasting event next week. In light of the horrific events that devastated a proud and noble nation on the 11th March, we felt it only right to do what we do best and put on a tasting in aid of the British Red Cross Japan Tsunami Appeal! This tasting is taking place on Monday 20th June from 7pm at TWE Vinopolis. We’ve teamed up with one of the most famous oriental distillers, Suntory, and their UK distributor Cellar Trends, to put on a spectacular tasting with a few very special features – and the line-up includes the already-legendary Yamazaki 1984, which recently scooped the title of World’s Best Single Malt at the World Whisky Awards 2011. We are extremely honoured to have with us the maestro himself, Suntory’s former Master Blender Dr. Koichi Inatomi. Dr. Inatomi will be taking us through an all-star range of drams from the Suntory stable, and will be demonstrating how his company’s obsession with perfection and quality has reaped ample rewards with the production of some of the world’s greatest whiskies. If the idea of a Japanese whisky tasting wasn’t enough to get you salivating, however, try this: everyone who attends this tasting will automatically be entered into a raffle to win a bottle of the Hibiki 30yo, with the lucky winner to be announced at the end of the evening!! Yes, you did read that correctly! One lucky attendee will walk home with a bottle of this stunning whisky, which has regularly won ‘Best Blended Whisky in the World’ at the International Spirits Challenge! And we’re still not finished yet! Dr. Inatomi himself has offered up not one but two Single Cask bottles from his own personal collection to be auctioned off as a pair to the highest bidder. 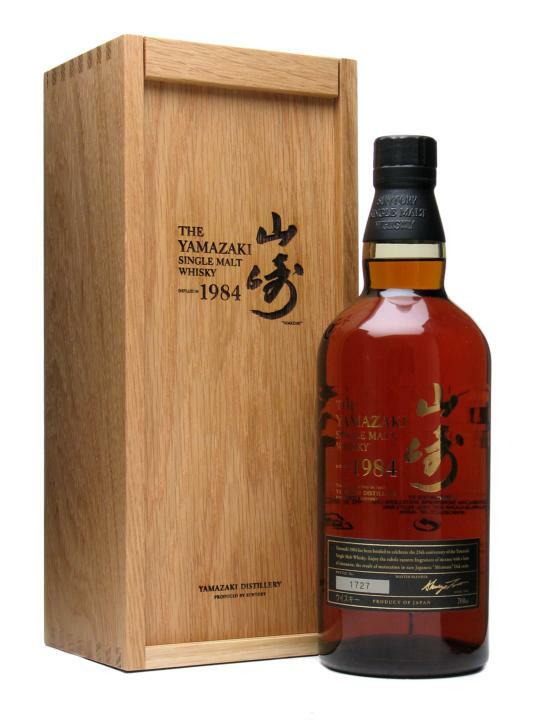 The two whiskies in question are a Yamazaki 1993 Heavily Peated and a Hakushu 1993 Sherry Bodega, both long since sold out and now highly sought after, and both signed by Dr. Inatomi. This really is shaping up to be the tasting event of the year! The Whisky Exchange will not be charging for tickets for this event. We will, however, ask for a minimum donation of £50 in order to attend, and of course any additional contributions you may wish to make to the appeal are more than welcome. Additional raffle tickets for the Hibiki 30yo will also be available for a £20 donation, and every penny raised on the evening will go to the Red Cross Appeal, so please join us for a tremendous evening and help us to make some cash for a very worthy cause. Tickets for this sensational tasting are on sale NOW: please call us on +44 (0)207 403 8688 to make your donation and guarantee yourself a place at this tasting. As with all tasting events at TWE Vinopolis, places are limited to 2 per booking.